Scientist, conservationist, educator: for over four decades Dr. Biruté Mary Galdikas has studied and worked closely with the orangutans of Indonesian Borneo in their natural habitat, and is today the world’s foremost authority on the orangutan. Galdikas was born after the end of World War II, while her parents were en route to Canada from their homeland of Lithuania. Galdikas grew up and went to school in Toronto. After checking out her first library book, Curious George, at the age of six, Galdikas was inspired by the man in the yellow hat and his unruly monkey. By the second grade, she had decided on her life’s work: she wanted to be an explorer. When her family moved from Canada to the United States in 1964, Galdikas had completed a year of studies at the University of British Columbia (UBC) in Vancouver. She continued her studies of natural sciences at the University of California at Los Angeles (UCLA), quickly earning her bachelor’s degree in psychology and zoology in 1966 and her master’s degree in anthropology in 1969. It was there as a graduate student that she first met Kenyan anthropologist Dr. Louis Leakey and spoke with him about her desire to study orangutans. Although Dr. Leakey seemed disinterested at first, Galdikas persuaded him of her passion. After three years, Dr. Leakey finally found the funding for Galdikas’ orangutan studies, as he had previously done with both Jane Goodall and Dian Fossey for their respective studies on chimpanzees and mountain gorillas. In 1971, Galdikas and her then husband, Rod Brindamour, arrived in one of the world’s last wild places, Tanjung Puting Reserve in Indonesian Borneo. There were no telephones, roads, electricity, television, or regular mail service at that time. Before she left the U.S., she was told by her professors and others that it “couldn’t be done”; she wouldn’t be able to study orangutans in the wild. They were too elusive and wary, living almost entirely in deep swamps. 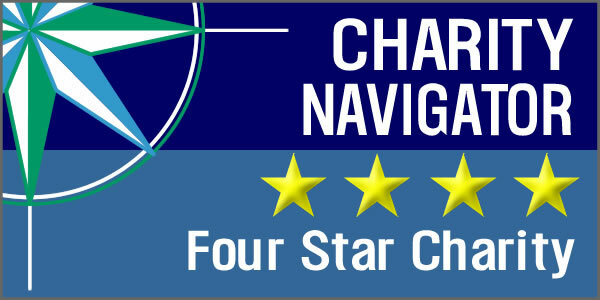 Before long, however, her hard work and determination had paid off. She set up “Camp Leakey,” named after her mentor and began documenting the ecology and behavior of the wild orangutans. Four years later, she wrote the cover article for National Geographic Magazine, bringing orangutans widespread international public attention for the first time. The article was illustrated with Brindamour’s photographs. Although Dr. Leakey seemed disinterested at first, Galdikas persuaded him of her passion. After three years, Dr. Leakey finally found the funding for Galdikas’ orangutan studies. Dr. Galdikas has lectured extensively on the orangutans and their tropical rain forest habitat to thousands of people and numerous institutions in Indonesia and throughout the world. Her dedication not only to understand the nature of the orangutan but also to preserve the creature’s rapidly diminishing natural habitat extends to the people, culture, and environment as well. After 40 years in Tanjung Puting, now a national park, Galdikas has conducted the longest continuous study by one principal investigator of any wild mammal in the world. Galdikas was the first to document the long orangutan birth interval which averaged 7.7 years at Tanjung Puting. She recorded over 400 types of food consumed by orangutans, providing unprecedented detail about orangutan ecology. She also helped elucidate the nature of orangutan social organization and mating systems. 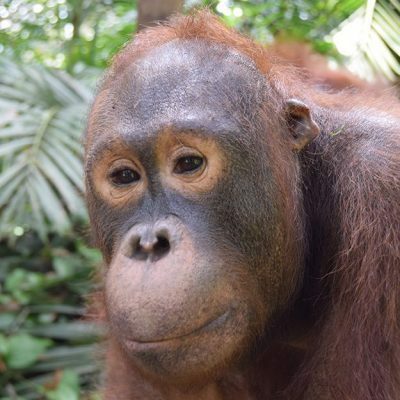 To support her work at Camp Leakey and to help support orangutans around the world, Dr. Galdikas and her colleagues set up Orangutan Foundation International (OFI) in 1986 with its home base in Los Angeles, California. Dr. Galdikas and her husband, Borneo native Pak Bohap bin Jalan, were also instrumental in establishing sister organizations in Australia, Indonesia, and the United Kingdom. A Lithuanian bank, Ukio Bank, established the Biruté Galdikas Ecology and Support Foundation in Vilnius, Lithuania, to support Galdikas’ work and to increase awareness of conservation in Lithuania. From March 1996 through the end of March 1998 under a special decree, Galdikas served as a Senior Advisor on orangutan issues to Indonesia’s Ministry of Forestry. In June 1997, she won the prestigious “Kalpataru” award, the highest honor given by the Republic of Indonesia for outstanding environmental leadership. She is the only person of non-Indonesian birth and one of the first women to be so recognized by the Indonesian government. Featured twice on the cover of National Geographic, and the author of scores of scientific articles and reviews, Galdikas has published four books, including her autobiography, Reflections of Eden. Galdikas has also co-edited scientific volumes and served as Book Reviews editor for a primatological journal. Galdikas has been featured in New York Times, Washington Post, Los Angeles Times, and numerous television documentaries such as CBC’s The Third Angel, Connie Chung’s Eye to Eye, and In the Wild with Julia Roberts. 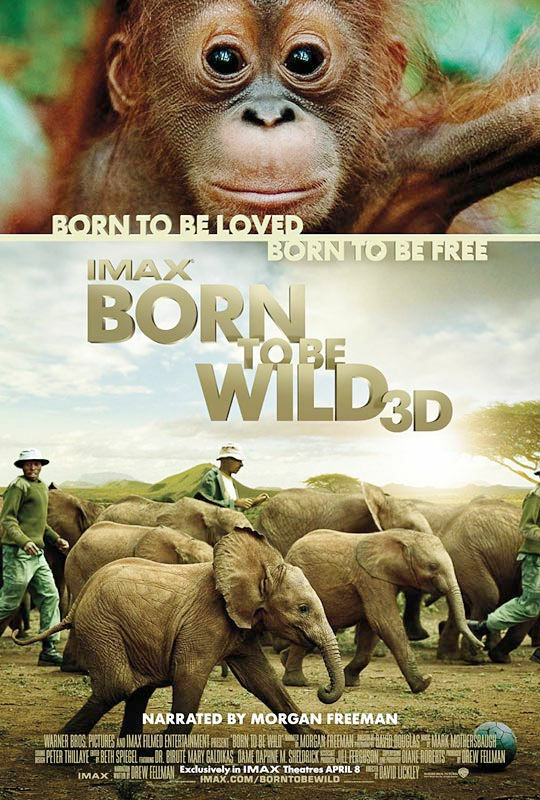 The most recent documentaries include Kusasi, From Orphan to King; the Mel Gibson narrated film, The Last Trimate; and the IMAX film, Born to be wild 3D, narrated by Morgan Freeman. Today, the situation facing wild orangutans is far more complicated than when Dr. Galdikas first began her studies. As a result of poaching and habitat destruction, viable orangutan populations are on the edge of extinction and could be gone within the next 20 years outside of national parks and reserves. Understanding is the first step to action. 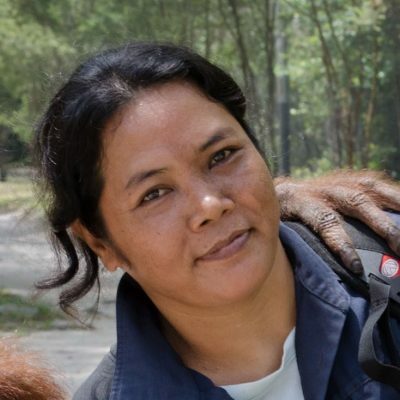 As President of OFI, Dr. Biruté Mary Galdikas has studied orangutans longer than any other person in human history and has worked ceaselessly to save orangutans and forests, and to bring orangutans and their plight to the attention of the world.